As a company, Nikon has quite a reputation with their camera gear. They can survive in the most hostile of environments, and they’re still precise enough to capture some stunning images. However, this comes with a consequence we weren’t sure they expected. Their sport optics division will always operate in the camera division’s shadow. However, it also delivers that reliable performance, high quality products and great value. 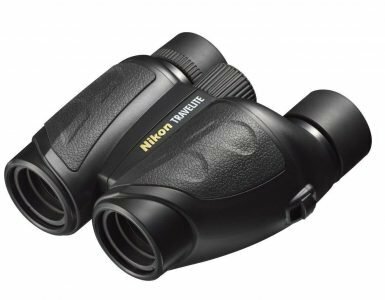 The company has been making binoculars ever since 1921, four years after they were founded, and they have some truly stunning products for the outdoorsman. All of their quality and performance goes into all products they make, from the cameras, to the binoculars and scopes, and a perfect example is the Prostaff 5 Proscope. It comes in a straight, and angled variant, and we’ll be taking a close look at the angled one in our review below. Without wasting any more time, let’s begin. The first thing you’ll notice is the fairly large 82mm diameter lens. This is what ensures that plenty of light enters the scope, and nothing goes unnoticed. Now, we can’t blame you for thinking that this might result in a very heavy and clunky scope, but that isn’t the case. All optics are multicoated, to ensure there’s no fringing and loss of sharpness and clarity. The image you get is bright and high contrast, so you can clearly make out what you’re seeing. 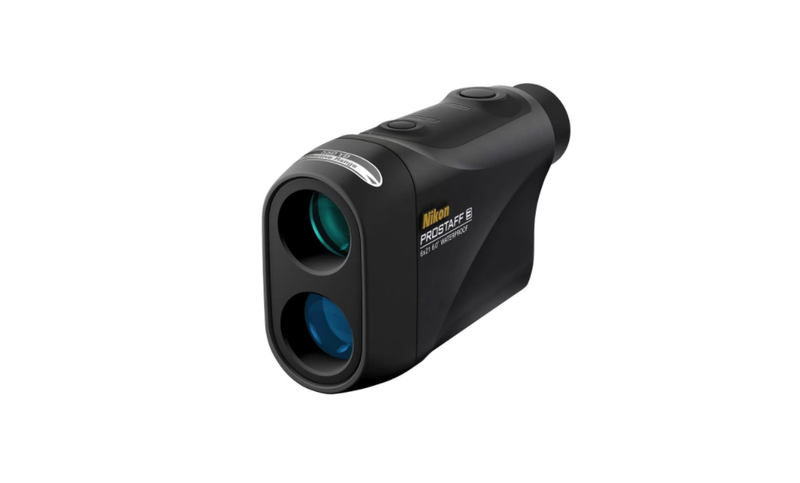 This is a very versatile scope, and the zoom is adjustable, ranging from 20 to 60 times magnification. At 20 times magnification, you get a 105 feet field of view, which is plenty. There’s also no chromatic aberration or inaccurate fringe color in bright light, nor after sunset. Zooming in at 60x magnification, you won’t get any of the image quality loss that you’d notice with cheaper, budget oriented scopes. When you take everything into consideration you do pay a bit of a premium for the Prostaff, but you get incredible optics quality that makes the asking price well worth it. As we mentioned, Nikon have years of experience in the optics game, and their build quality is absolutely impeccable. The whole thing weighs around 2.5 pounds, which is light for a scope that has such a large lens and quality optics. There’s a 25 year limited warranty on the scope, making it well worth it as a long term investment. The angled body gives you a bit of versatility when looking through it – you don’t have to hold it high up at eye level, and you can instead leave it on a tripod. There are two tripod mount holes at the bottom, which let you balance the scope both on a flat, horizontal surface, or on an angled one, depending on your needs and requirements, and it won’t tumble. The only potential downside with the angled eyepiece is that you can’t rotate it like you can with some other scopes. The whole body is completely waterproof and rainproof. The waterproof rating is up to 1 meter for 10 minutes, meaning it shouldn’t get damaged even if you were to drop it in a puddle of water. We did get caught out in the rain while using it, and the scope had absolutely no leaks, even at the bayonet mount where the eyepiece connects. There was also absolutely no fogging as well, something that is to be expected from the scope, as it is nitrogen purged. In a situation where you’re traveling in a vehicle that has air conditioning, and you want to see something through the window, you don’t have to worry about fog due to the temperature difference. On the top, you will find the Prostaff’s focusing knob. It is a stiff and sturdy one, and it’s high enough so you can use it even with gloves. The textured surface adds a bit to that as well. It is easily adjustable and you can get precise focus really fast. If you’re a photographer, you’ll be happy to know that this is a digiscope-ready scope, if you add a digital camera bracket. The eyecup will give you plenty of eye relief if you wear glasses, something that’s always welcome. The magnification knob works very smoothly, but there aren’t any speed bumps to make things easier when the weather is poor. To round up the construction, there’s a sliding sun shade. It’s around 2.5 inches, and will absolutely reduce glare coming in from any light source. So, who is the Nikon Prostaff 5 for? Is it worth it? Well, to begin with, the price point will put it out of reach for many who just want an entry level scope for bird watching. It is a high end scope, and it has a price to match. And even though it is absolutely worth the price, we wouldn’t recommend it for people who are just getting into the game. There are plenty of more budget-friendly alternatives that will get the job done. 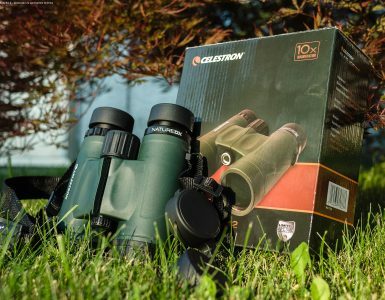 However, if you’re an enthusiast, and you know you’ll be using the scope often on your outdoor adventures, this is an amazing option. You won’t mind the price, as you know you’re getting quality. The optical quality is impeccable, you won’t notice any quality loss throughout the range, and the whole scope is built like a tank. What else could you ask for? At the end of the day, if you need a scope like this, absolutely get it. It gives you plenty of features, all of which are well thought out, and backed up by Nikon’s warranty. The complete package is not that heavy either, so it won’t weigh you down when you’re trying to get up a mountain. If you can afford it, we’d absolutely recommend buying it!